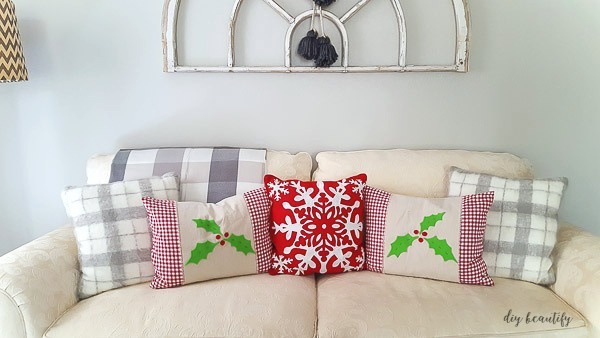 These easy DIY pillow wraps are a great way to add a festive touch to your existing pillows for the Christmas season! 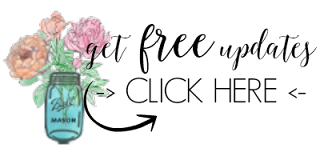 They're removable, inexpensive and can be completely no-sew if you choose! In a couple days I'm going to share a fabulous stencil project with y'all. It's full of Christmas cheer even though it's neutral and farmhouse and totally different from today's project! Today, I want to show you how to get the most out of a stencil, and create a project that is paint-free! 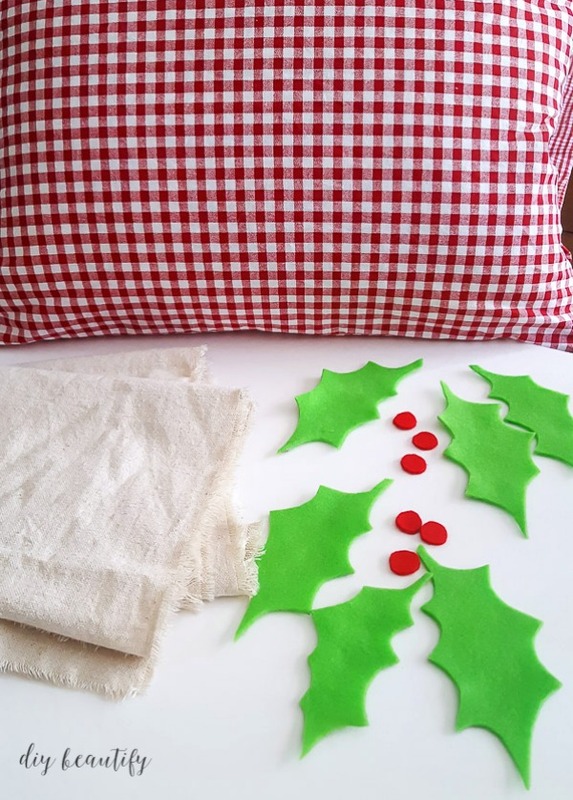 I used the holly portion of a stencil to make these bright and cheerful pillow wraps for Christmas. 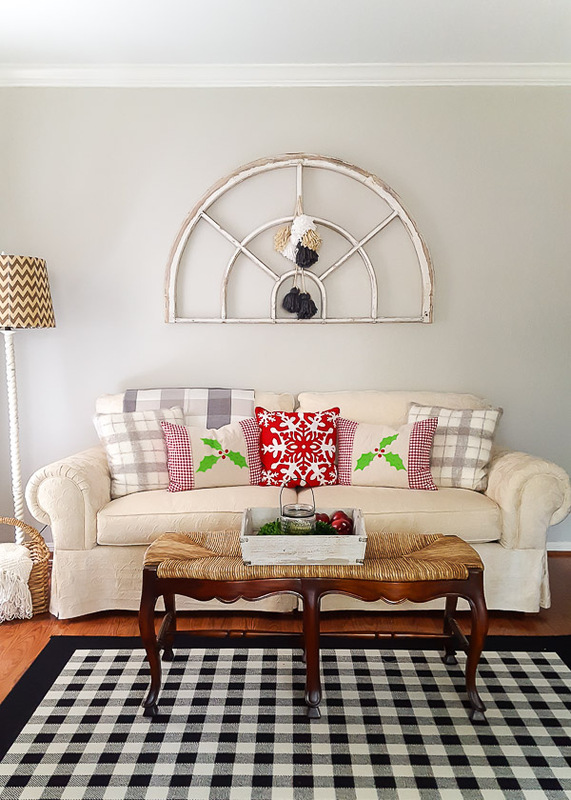 They slip right over my red gingham pillows and are a great way to decorate without buying new pillows! Wash, dry and cut drop cloth to fit around pillow of choice. Allow 2 inches to overlap at the back. Fray the edges of the drop cloth by pulling several threads loose along the length. Trace stencil onto felt and cut out with sharp scissors. I decided to make matching pillow wraps for the sofa in my sitting room, so I doubled everything. Wrap the drop cloth around the pillow so it's snug but not too tight. 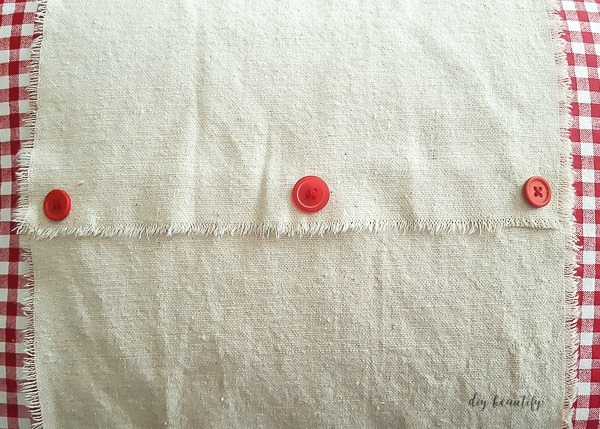 If you're comfortable with a needle, sew the buttons on to secure the drop cloth closed. Otherwise, you can glue it and the buttons. Or leave the buttons off, it's completely up to you, but I like how they look. Turn the pillow over and experiment with placement of your felt pieces. I tucked a piece of waxed paper between my pillow and drop cloth to protect the fabric of my pillow and then glued my holly and berries down. I used a thin bead of glue around the edges only. 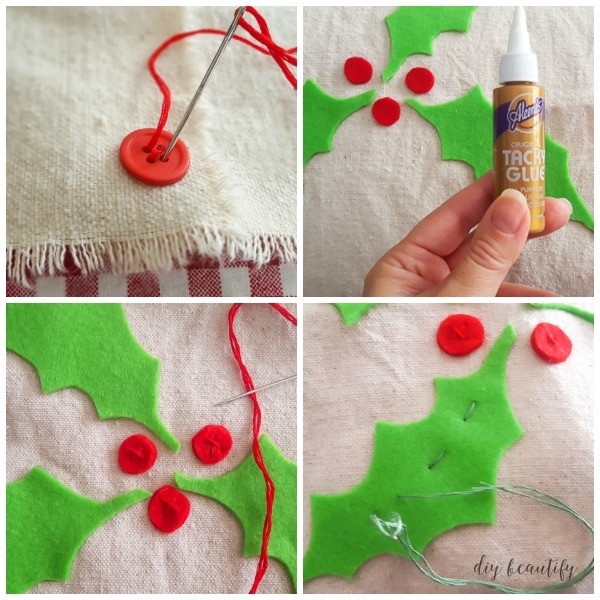 Once the glue dries, you can remove the pillow wrap and proceed to add stitch lines to the berries and holly. This step isn't necessary, but I love the texture it adds! Slip the wraps around the pillows and display for as long as you'd like! These easy pillow wraps can be folded flat and tucked away with the rest of your Christmas decorations. I love the colorful and festive touch that these DIY pillow wraps add to the sofa in my sitting room! You may be totally Christmased-out at this point, but tuck this idea away for future reference! Or consider making these DIY pillow wraps for your everyday pillows during the year! I love easy and inexpensive projects like this that you can tweak to make entirely custom! If you're looking for more drop cloth and stencil ideas, I have lots of ideas and tutorials to inspire you! Like I mentioned, I'll be posting another stencil project this week. It's one of my favorites to date! After that I'll be taking a few days off to spend Christmas with my family!